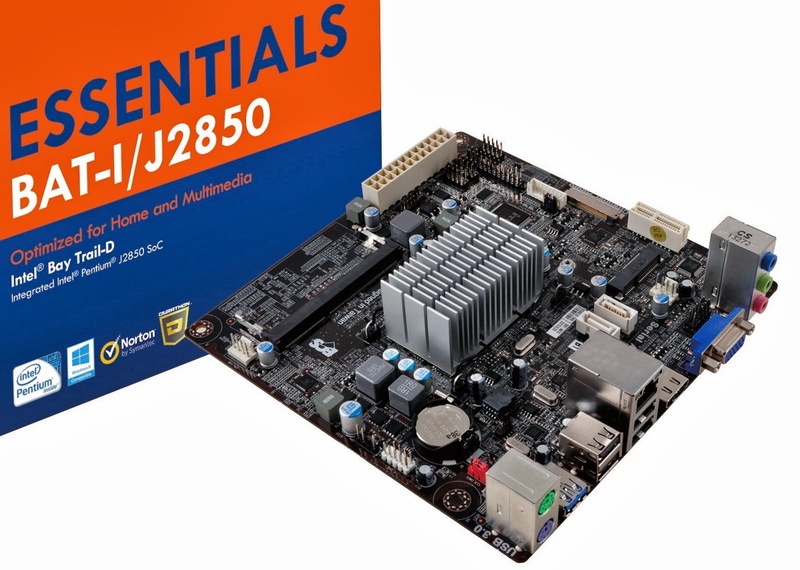 ECS BAT-I/J1750, BAT-I/J1850, and BAT-I/J2850 motherboards are based on Intel's Celeron J1750 (2 cores @ 2,41 GHz), Celeron J1850 (4 cores @ 2,00 GHz) and Pentium J2850 (4 cores @ 2,41 GHz) respectively. The passively cooled boards feature one mini PCIe, one HDMI port, four USB 2.0 ports, one USB 3.0 port, two 3GB/s SATA connections as well as electrostatic discharge protection and 100% solid capacitors. If Intel's ultra low power HD graphics deliver, very affordable HTPCs might be coming soon.